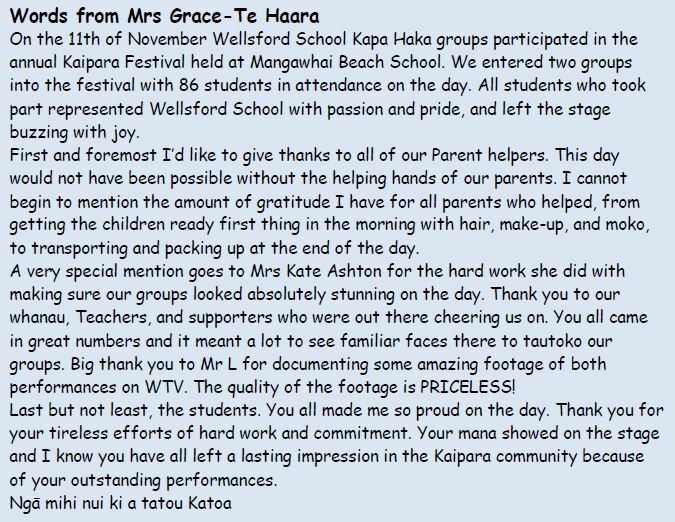 Kapahaka is a strong feature of Wellsford School. 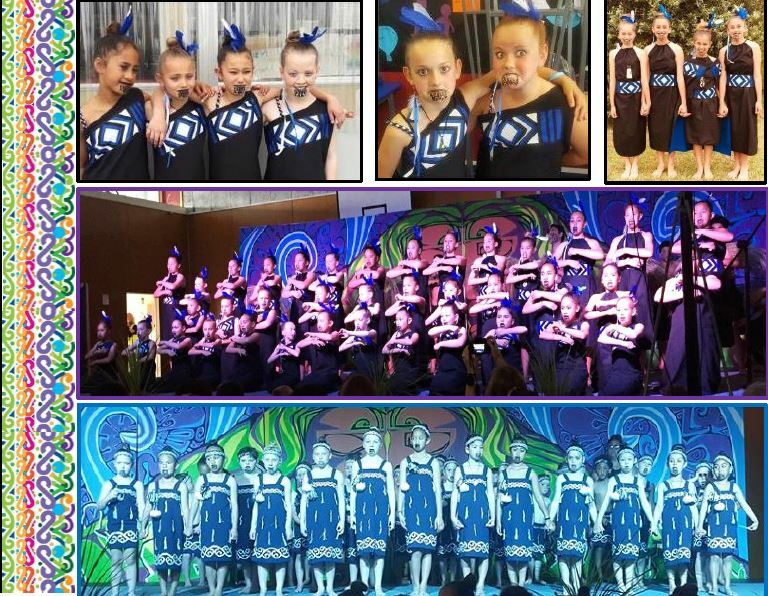 Our groups perform regularly at school assemblies, whakatau and powhiri, as well as at festivals at various times during the year. Being involved in Kapahaka is increasingly popular among our students. Both Maori and non-Maori students alike, enjoy the opportunity to participate. There are two Kapa Haka groups - a Year 1-3 and a Senior Year 4-8 groups. These groups meet on alternate Fridays to practise and perform. The Kaipara Festival and House Haka competitions are annual highlights.